Fire is a major driver of ecosystem dynamics across much of Minnesota. Fire suppression, while beneficial, has changed these systems in ways that may threaten long term ecosystem health and productivity. While a variety of silvicultural and other treatments attempt to mimic some fire effects, there is interest in better understanding the roles and outcomes of fire in order to improve the function of our fire-dependent plant communities in the fire suppression era. 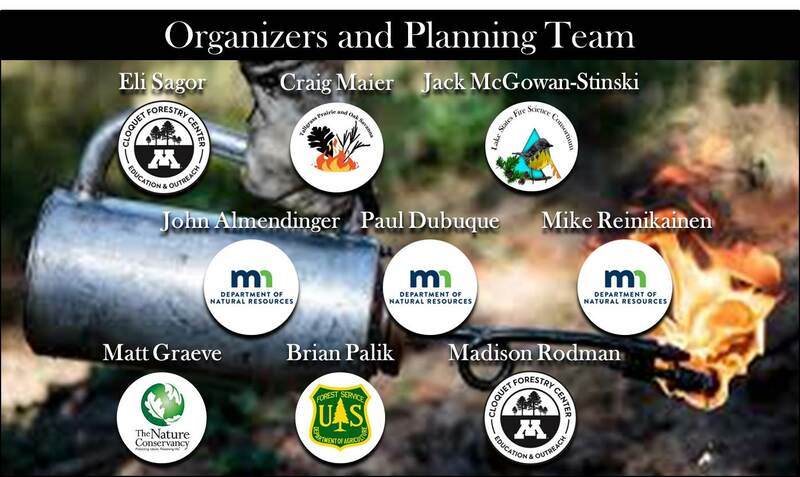 This two-day event will explore how fire has shaped Minnesota's natural systems and how land managers can safely reintroduce fire where appropriate. Sessions and panel discussions will focus on fire effects in pine- and oak-dominated forest and woodland communities and in the aspen parklands system. These discussions are planned with and for the diverse community interacting around fire-related issues, and seek to build the understanding and communication to support further work toward collaborative solutions. Offered by the Sustainable Forests Education Cooperative and the Lake States Fire Science Consortium. 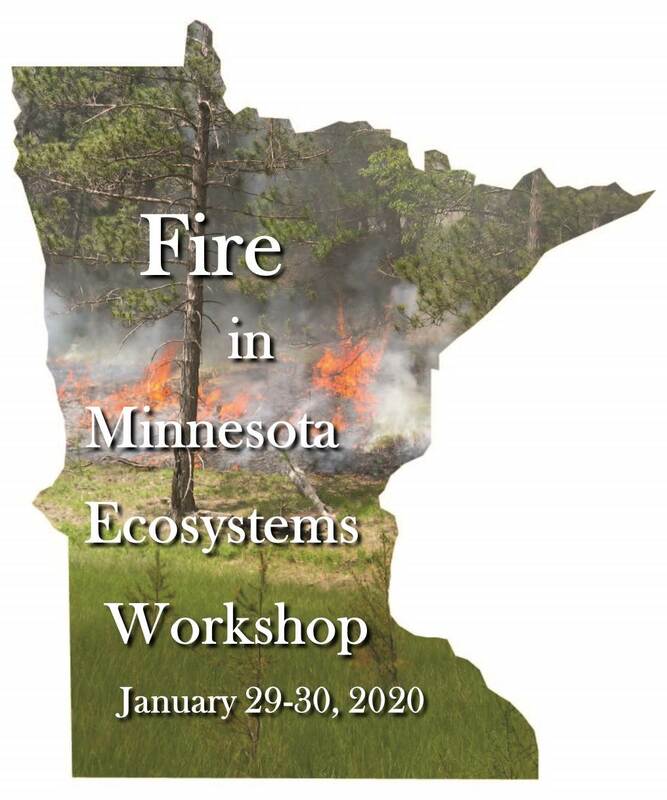 The Tallgrass Prairie and Oak Savanna Fire Science Consortium, the Oak Woodlands and Forest Fire Science Consortium, and the Minnesota Sharp-Tailed Grouse Society are also supporting this Workshop. Registration and Fee: Register through SFEC event page or directly when registration is open. CEUs: Continuing education credits will be available for this event. Information on CEUs will be posted as it becomes available. Keynote One: Gregory Nowacki, PhD (Regional Ecologist, Acting Soil Program Leader, Forest Service, Eastern Region) will provide the keynote address exploring and providing a general overview of Minnesota’s ecosystems at the Province Level (Boreal, Pine-Hardwoods, Oak-Hickory, Parklands, and Central Plains Prairie), and then wrap up with a focus on the fire-adapted/-dependent oak-hickory ecosystem, the consequences of fire suppression (mesophication), and the need for Rx burning. Keynote Two: John Almendinger (Ecological Land Classification Program Consultant, Minnesota Department of Natural Resources) will follow Greg Nowacki and provide more detail on Minnesota’s fire-dependent ecosystems: fire-dependent pine forests in the Laurentian Mixed Forest Province, fire-dependent oak forests in the Eastern Broadleaf Forest Province, prairie and brushland in the Prairie and Aspen Parklands Provinces.